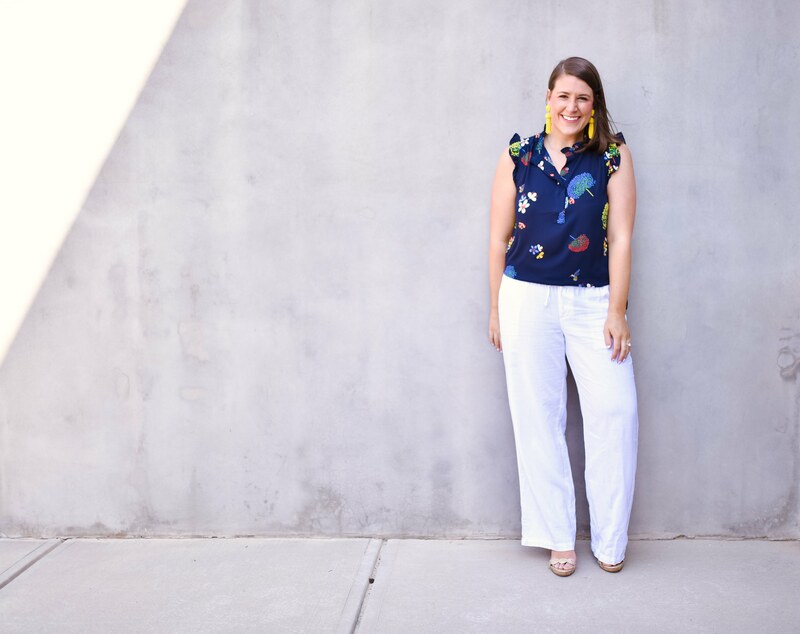 White linen pants have been a staple in my closet since college. They are so easy to dress up and look classic or dress down and be super comfortable! This pair is a STEAL and they are great quality. I absolutely love this look for work! It’s so colorful and fun, but totally office or meeting appropriate. Also these pants feel like pajamas so you’ll be feeling great all day! With simple, white pants I love to add tons of color. This blouse is so pretty and I love any chance I get to wear yellow earrings! One of my favorite things about these pants is the quality. They are not see through at all while still remaining pretty thin. This look would be so cute for the 4th of July! I love chambray and white paired together for summer. These pants could seriously be paired with anything and look adorable. Dustin and I celebrated our 2 year wedding anniversary yesterday! I can’t believe it has been two years, it truly has flown by. We have both grown so much and I just love our life together. We celebrated by cooking some seared tuna and sharing a bottle of rosè. It was absolutely perfect! Stay tuned later in the week for a peek into how Dustin feels about marriage two years in 🙂 . You don’t want to miss it!